The Cougar’s Byte does not accept external advertising. Space permitting, The Cougar’s Byte is available to assist Kean University departments, offices and student organizations with their advertising. 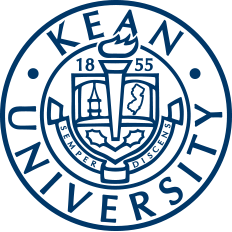 All requests for advertising from organizations and individuals unaffiliated with Kean University’s departments, offices or student groups should be directed to the Kean University student newspaper, The Tower. The Tower can be reached by calling (908) 737-0468 or by emailing thetower@kean.edu. Space in both the print edition and the online edition is extremely limited. To request advertising space, the prospective advertiser should contact the Director of the Center for Leadership and Service within The Cougar’s Byte as soon as possible. Issue layout planning begins approximately two weeks prior to the publication date. Text advertising written into the form of an article and submitted electronically to The Cougar’s Byte at cbyte@kean.edu. All text advertisements should confirm to The Cougar’s Byte article standards. The Cougar’s Byte reserves the right to edit all text advertising submissions for length, grammar and content. The final text will only be sent to the advertising requestor for print approval if necessary or if it is explicitly requested by the advertising requestor. Advertisements can be designed by the prospective advertiser, under the guidelines established by The Cougar’s Byte herein, and submitted for print as is. The advertisement must be submitted electronically to The Cougar’s Byte. The Cougar’s Byte does not accept physical (paper) copies of advertisements for print. All prospective advertisers should contact The Cougar’s Byte prior to designing the advertisement to confirm size and placement of the design and to reserve space. Advertisements that are created and submitted prior to reserving space may not be printed. Advertisements can be designed by the graphic design staff of The Cougar’s Byte at the request of the prospective advertiser. After reserving the advertisement space, all information (text and images) must be submitted electronically to The Cougar’s Byte, at cbyte@kean.edu, at least two weeks prior to the publication date. Once designed by the graphic design staff, the advertisement will be submitted for print. The final advertisement will only be sent to the advertising requester for print approval if necessary or if it is explicitly requested by the advertising requester. 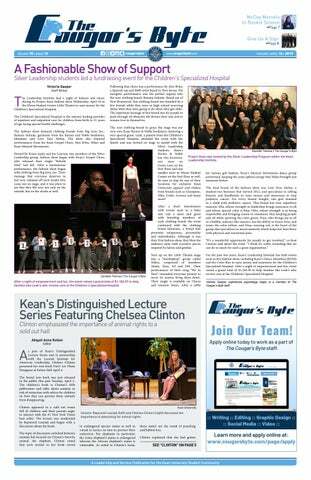 A complete copy of The Cougar’s Byte Advertising Policy, including publication dates and submission deadlines, can be obtained by contacting The Cougar’s Byte, located in Miron Student Center, Room 215, by calling (908) 737-5179 or emailing cbyte@kean.edu.